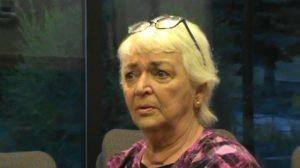 Lauralee O’Neil is teaming up with other TMMers such as Jim White of NorthWest Liberty News, Dan Happel of Connecting The Dots, Elaine Willman, author of “Going To Pieces”, Clarice Ryan, and many others, including myself, Elias Alias, to spread the word about yet more federal mischief in the Western States. Lauralee has brought a new website online as of October 2016 and is busily loading it with theme-related info and resources. Visit her website and find out about things which are happening in our Western States that affect our private property and water rights, and much more. 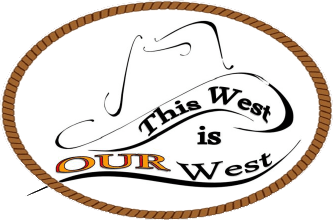 And don’t forget to subscribe for This West Is Our West email alerts. Being a new organization just coming out of the chute, she can use some extra help. Her donation page is HERE. The Mental Militia works with our good friends over at This West Is Our West. As landowners, irrigators, farmers and ranchers, we all need adequate land and water to provide America’s food supply. We all have targets on our back as the Executive Branch of the federal government, Greenies, Globalists and bureaucratic agencies come after our land and water in the Western States. 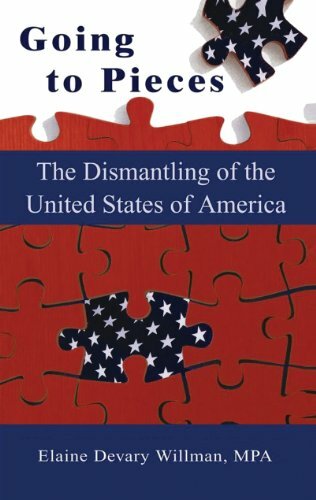 Destruction of America’s food production and state sovereignty are all active and ongoing targets of this siege. At their video page one can find quite a collection of people-oriented videos. One favorite is a question-and-answer session with Debbie Bacigalupi and Larry Kogan — which holds some surprising insights. Following two years attendance at Ventura College of Law, Ms. Willman received a MPA from Cal State University in 1991, and has obtained 96 credits towards doctoral work in public policy. Willman has lived on three Indian reservations for more than twenty-five years, and has extensive knowledge about federal and tribal government decisions, land use status within Indian reservations, dual-jurisdictions and Constitutional conflicts that impact the rights and lives of tribal members as well as other American citizens. Willman’s mother and grandmother were enrolled Cherokee members; her spouse is of Shoshone ancestry and a direct descendant of Sacajawea. Willman is engaged with numerous national and local educational organizations providing sunshine on the little known subject of federal Indian policy to inform the general public. From 2008 until 2015, Ms. Willman served the Village of Hobart, Wisconsin, as their Director of Community Development and Tribal Affairs. After several trips to Montana to study and oppose the CSKT Water Compact, Ms. Willman moved to Montana in 2015 to address long-term impacts of federal and tribal government overreach. And LauraLee, keep up the good work!